Luscious lips have always been on trend, but never have they been this popular, and it's all thanks to King Kylie Jenner. We know she's had a little help achieving the look, but she also knows some free and easy go-to tricks for making her lips large and in charge. Here's how Kylie Jenner makes her lips look bigger without any fillers or devices. 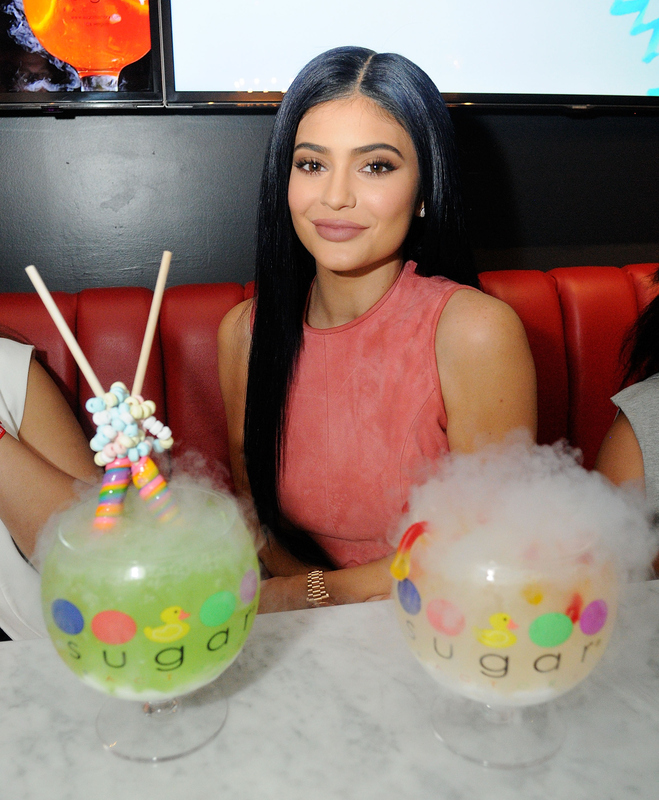 Yep, it's true: Kylie Jenner has temporary lip fillers. But beyond that, Kylie Jenner is the queen of stunning lips. She's got a successful line of liquid lipsticks and lip liners with Kylie Cosmetics, and is also a virtual pro at makeup in general. But even with all that, she still relies on little tricks and optical illusions to give the illusion of a huge pout in photos. Posted on her Snapchat account on Tuesday, Jenner let her fans in on one of her simplest tricks. "Everyone keeps thinking I make my lips bigger, but this is them normally," she said, showing off a significantly smaller pout in video. "And this is when I, like, push them out and do my little face," she says, giving us a signature pout. While the look definitely isn't a duck face, it is a subtle but significant change to posing that makes a huge difference. Lip plumpers are a great way to enhance your natural lips temporarily, but they can also moisturize and replenish after sun exposure or a few days of liquid lipstick. Lighter shades make your lips look larger, while darker shades make things appear smaller. In the makeup world, the trick is called "light reveals, dark conceals." If you have naturally small lips and want them to appear larger, try light pinks and nudes. Moisture picks up the light, making lips look fuller. You can stimulate the collagen in your lips by massaging moisturizer into them first thing in the morning, after a long night of dehydration.